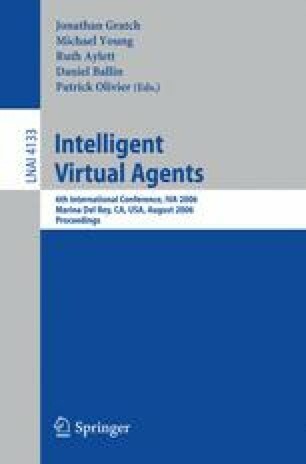 A Reactive Virtual Trainer (RVT) is an Intelligent Virtual Agent (IVA) capable of presenting physical exercises that are to be performed by a human, monitoring the user and providing feedback at different levels. Depending on the motivation and the application context, the exercises may be general ones of fitness to improve the user’s physical condition, special exercises to be performed from time to time during work to prevent for example RSI, or physiotherapy exercises with medical indications. In the paper we discuss the functional and technical requirements of a framework which can be used to author specific RVT applications. The focus is on the reactivity of the RVT, manifested in natural language comments on readjusting the tempo, pointing out mistakes or rescheduling the exercises. We outline the components we have implemented so far: our animation engine, the composition of exercises from basic motions and the module for analysis of tempo in acoustic input.